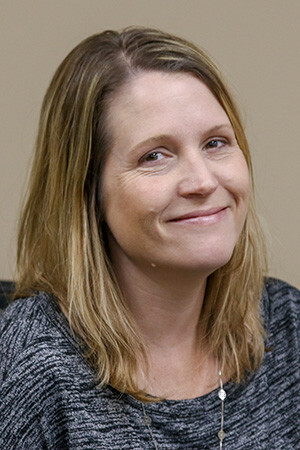 Lisa has been working for the company since January 2001. She lives in Au Gres, and she and her husband, Troy, have three boys, Ryan, Jared and Evan and daughter, Maci. Her hobbies are watching her children play sports (baseball, track, soccer, basketball, football) and she said she just happens to be their biggest fan. She loves photography, a good book, and enjoys working on her culinary skills. Lisa said she likes to be active in her community and volunteer with various groups and organizations, including, but not limited to: boosters, Little League, highway cleanup, youth group and soccer president. She is currently a board member for the Standish Area Chamber of Commerce.